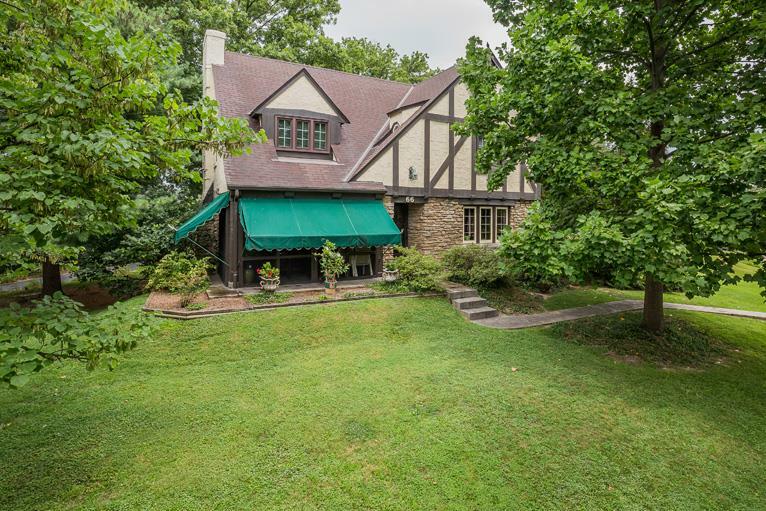 Come get swept away with this charming Tudor home that has been landscaped to perfection! Features: spacious living room & dining room w/beautiful wood peg floors, eat-in kitchen w/maple cabinets, w/Rookwood tile, WBFP fireplace, 3 spacious bedrooms, 1 full & 2 half baths, 1-car detached garage. Relax on the screened in front porch. Walk to award winning schools, Tower Park & restaurants!